A Headache is known as a pain in the head or upper neck. It is one of the most frequent places of pain in the body and has several causes. Primary headaches may include tension and cluster headaches, as well numerous other less common types of headache. 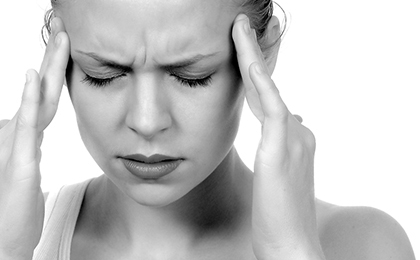 Tension headaches are the most common type of primary headache. Approximately 90% of grown-ups have had or will have tension headaches. Tension headaches occur more commonly among females than males. Cluster headaches are a rare condition of primary headaches affecting just one percentage of the population (1 in a 1,000 people). It mostly affects males in their late 20s though females and children can also suffer these types of headache. Primary headaches can alter the quality of one·s life. People have occasional headaches that go away quickly while others are debilitated. While these headaches are not life shorting, they may be come with symptoms that can mimic strokes or intracerebral bleeding. Secondary headaches are headaches that are stimulated by an underlying structural problem in the head or upper neck. There are various causes of this condition of headache from bleeding in the brain, tumor, or meningitis and encephalitis. What are cranial neuralgias, facial pain, and other headaches? Neuralgia refers to nerve pain Cranial neuralgia is a group of headaches that happen because the nerves in the head and neck become inflamed and therefore the root of the pain comes from the head. Facial pain and a variety of other causes for headache are associated in this category. Before opening her Chiro-Lifestyle practice, Dr Leah Reddy worked in a UK based musculoskeletal rehabilitation company as a Clinical Case Manager for 1 year. She was then appointed to being one of the Clinical Operations Manager for 5 years .During these 5 years, she concurrently opened Chiro-Lifestyle and began her BA Degree in Psychology. Shop 16, Lifestyle Home and Garden Center. Corner Beyers Naude and Ysterhout Avn.